Every time we roll out our yoga mats we tap into a deep well of knowledge and methods developed over thousands of years from all over the world to help us live a happier more fulfilling life. Studying yoga by attending classes a few times week has changed many people’s lives but often is just the tip of the iceberg. If you are seeking to make yoga apart of your every day life, mind, body, spirit and develop the skills to share it with others, join Amy Johnson and Jayme Bushmiaer-Davis for Eastside Karmany Yoga Teacher Training Certification programs! Develop a working knowledge of different schools of yoga, including Iyengar, Ashtanga, and hybrid forms of vinyasa flow. Thursday evenings are casual and intimate book discussions at Jayme’s home. The first book we will discuss is How Yoga Works by Gesha Michael Roache and Christy McNalley. It’s a perfect introduction to living the yoga lifestyle. The second book we will explore is the ancient text The Yoga Sutras of Pantanjali. In it you will explore detailed methods to living yoga in which we will explore together and apply them to our daily lives. Training days are on Saturdays with Amy and Sundays with Jayme and meet at Eastside Karmany at the designated times below. You will learn all the details on the postures, attend several workshops led by experts in Anatomy, Acupuncture and Ayurveda and voice lessons with a professional opera singer, practice teach and much more! Part of training is working on your personal practice as well as auditing your lead teachers’ classes. You must attend 5 classes a week total with Amy and Jayme. 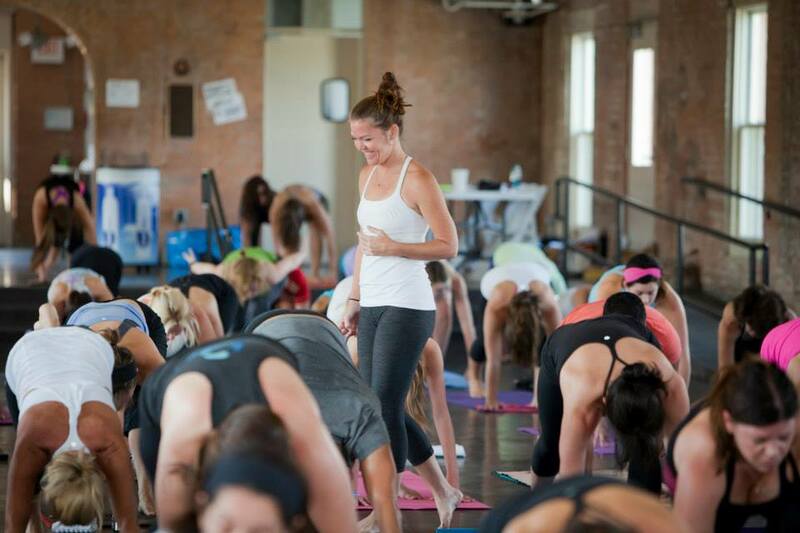 Amy and Jayme have been teaching yoga in DFW since 2001 and 2005 respectively. While this their 5th training to partner together, they have co-led over 20 teacher trainings all together, helping over 150 students in DFW become certiried instructors. The role of teacher is a great honor for them and they feel a great duty to make sure aspiring teachers have the proper tools to communicate yoga confidently and competently. They will work with you personally to reach your goals. Save $200 if you pay the balance by 3/31.